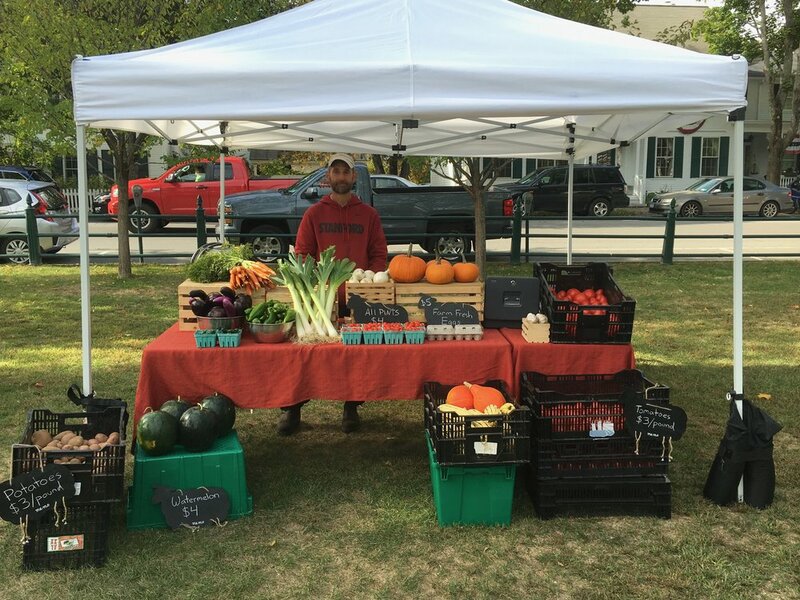 We sell our produce at local farmer's markets and restaurants including the Woodstock Market on the Green on Wednesday afternoons and The Worthy Kitchen, also in Woodstock. On the farm, we do not use any chemical herbicides, pesticides, or fertilizers. 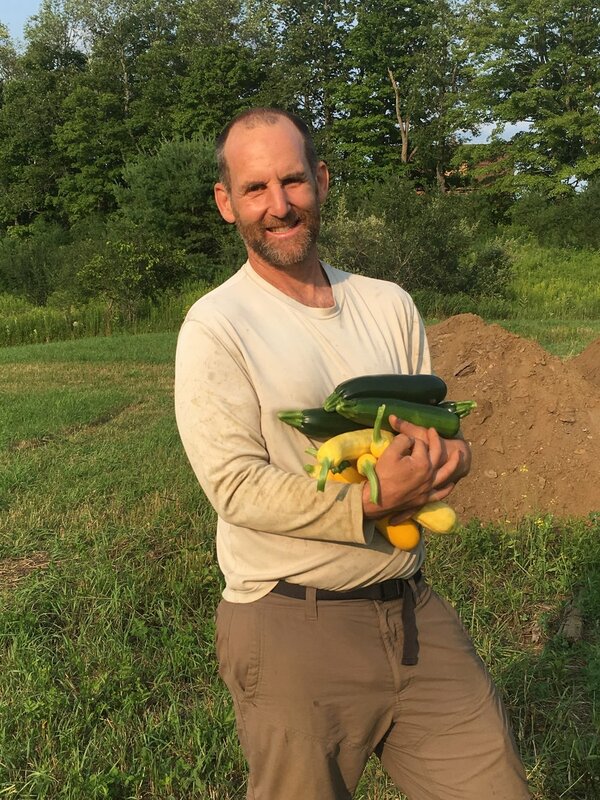 Our seeds come primarily from High Mowing in Vermont and Johnny's in Maine. We do not use any GMO seed. We apply organic fertilizers, local compost, and grow "green manure" cover crops to keep our soil healthy and productive. We also utilize slow drip irrigation to conserve water. We know exactly what goes into our food and are happy to share with you how we grow it. 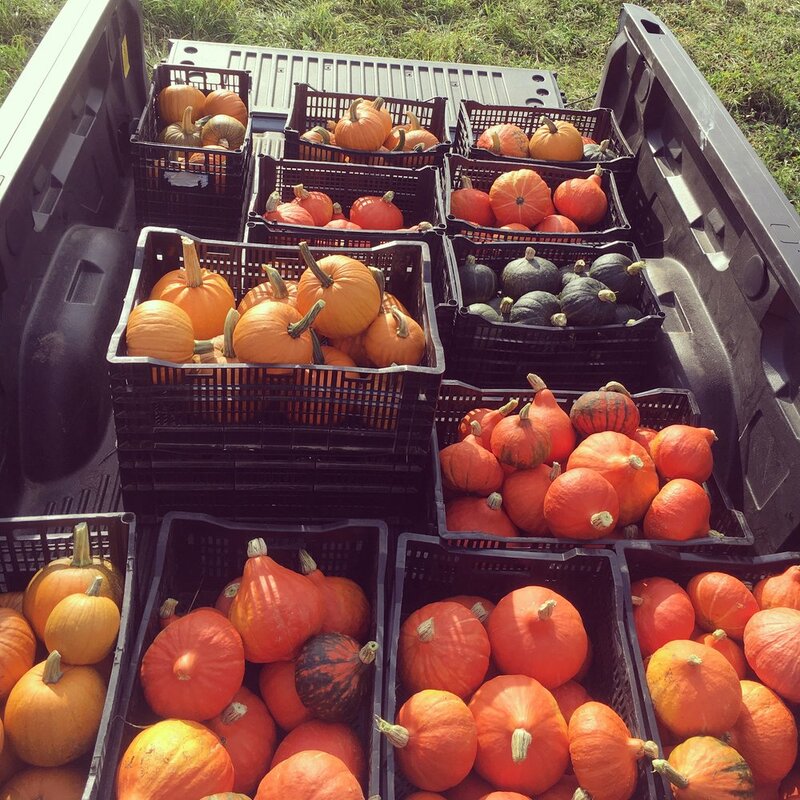 During our growing season we provide fresh seasonal produce to all of our guests during their stay on the farm. Guests are welcome to help on the farm -- just let us know. We can also provide baskets of our produce that is in season at the time of your visit. Prepare simple delicious snacks or elaborate meals during your stay. Each cabin has a fully-equipped kitchen. We are also happy to give you an informative tour of our growing fields for those interested in learning more about how we grow our food.